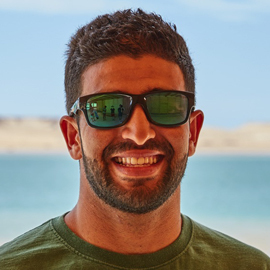 Welcome to KBC Dakhla, your new kitesurfing club in Morocco and the exclusive partner to the DAKHLA CLUB hotel. 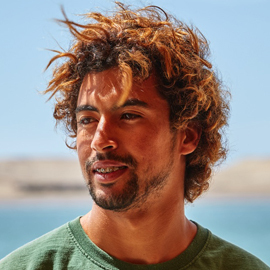 The Dakhla peninsula (40km long and 4km wide) is perfect for beginners, more advanced kitesurfers and real professionals looking for totally flat water. Kitefoil enthusiasts will also find perfect conditions here to practise their sport. 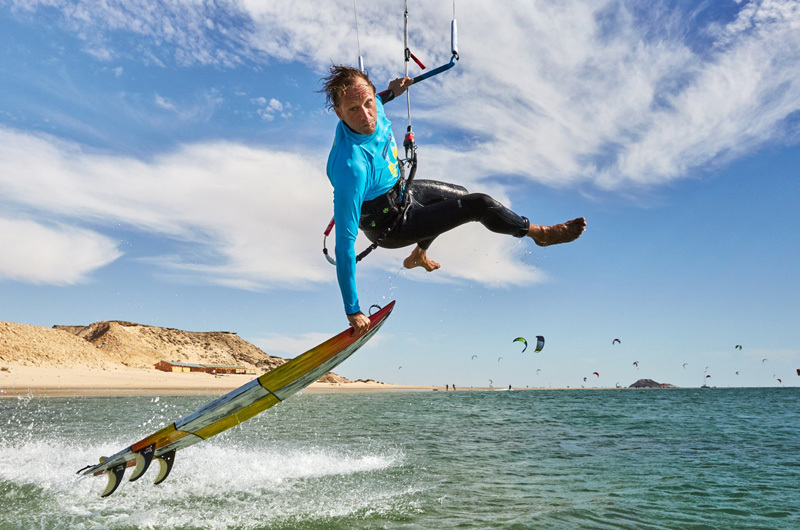 Our lessons are for everyone who loves kitesurfing, from beginners to those with more experience. The club offers group lessons and private sessions too. 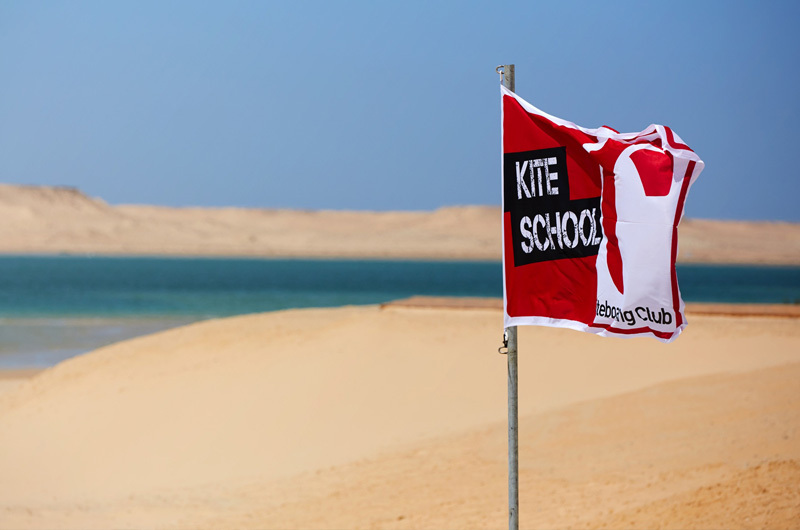 The aim is to help each participant to develop on the board and handle the kite safely by themselves. Haven’t got your equipment yet ? You can hire it at the club. 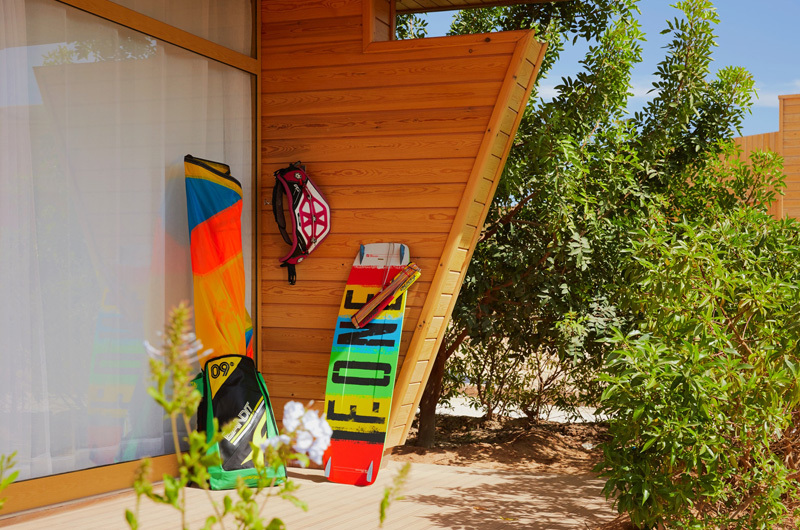 All the top F-ONE equipment is directly available at the kitesurfing resort, on the beach. Your booking guarantees availability of the equipment even if you need to change it several times a day. WIND, WEATHER & TIDES Dakhla is an absolute wind sensation and brings us fantastic winds all year round! 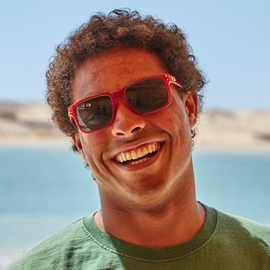 Dakhla is an absolute wind sensation and brings us fantastic winds all year round! The trade winds that travel between the Canaries and Cape Verde during the summer and winter sweep over Dakhla throughout the year. 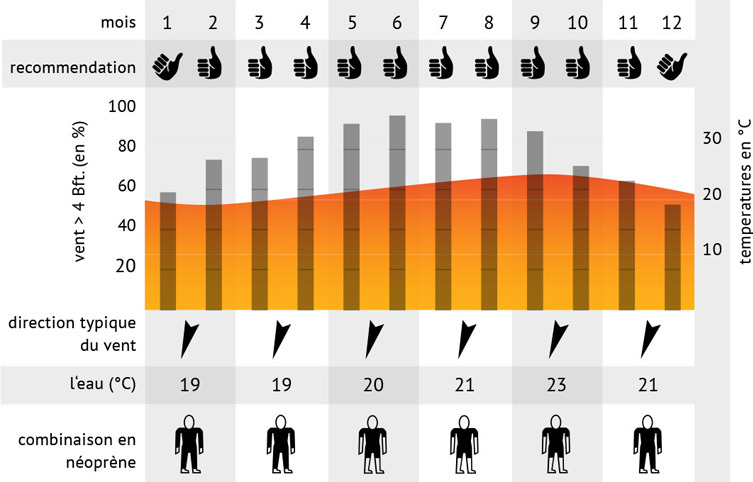 As a result, it’s almost constantly windy here – an average of 320 days at around 15-22 knots. The north-east trade winds blow sideshore from the right and are further accelerated by the mountains in the interior, because the wind is funnelled through them. A pleasant, soothing maritime climate awaits you, relatively dry and not too hot. At high tide, you have a standing range that extends up to 300 m all around the lagoon. At low tide, this strip is somewhat reduced, but can still be used thanks to the 1 km latitude to the windward side. The ground is extremely fine sand. Nonetheless, we recommend wearing neoprene shoes, since bits of shell are hidden at various points along the beach. At low tide, this area is partially dry and it’s just a few metres to the water’s edge.